Melanie S. Mescher: First few attempts at maya. 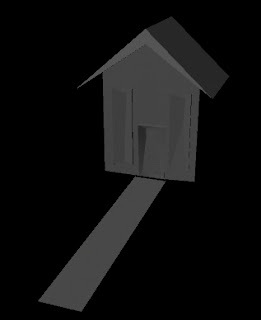 I really do not want to show these sad attempts at modeling, but I figured it would be a good practice to show where my skills set start. Maybe if I learn quickly it'll show how I quickly I can learn something and improve myself. 3D modeling is really where I want to go with my artwork. 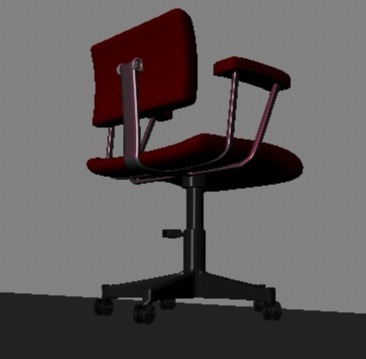 I am fascinated by the modeling I see people do, and I want to achieve that level of skill. I took ceramics a couple years ago, to understand the 3D space with my own hands. 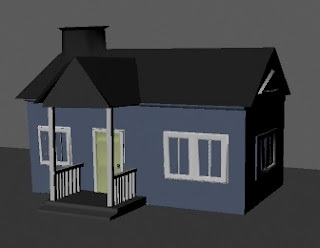 Well anyway here is my modeling I have done the last 3 weeks, the first few times I have touched the program. This one is the most painful to look at. I created it the first class, without having any clue on what was going on. 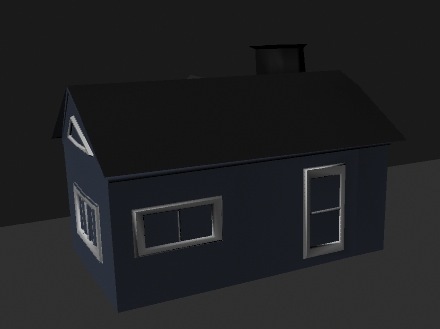 After I Learned a small amount more I created this house, which is marginally better than the first. 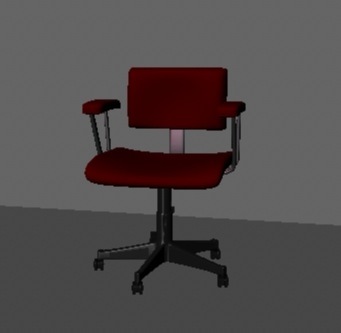 Here is my most recent creation, an office chair. There were many challenges with this one, but as you can see I managed to complete it. Currently I am working on modeling a cellphone. And I have to give coaching credit to Kevin Harkness, because without him in my class I would be drowning in Maya confusion. So thanks Kevin!